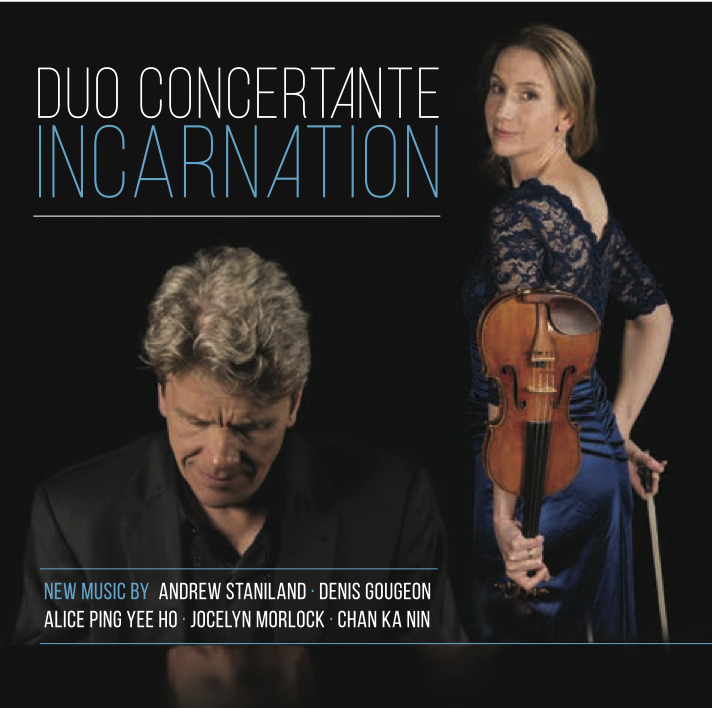 Our newest CD – Incarnation – comes out in May and contains five pieces written especially for us by Chan Ka Nan, Denis Gougeon, Alice Ho, Jocelyn Morlock and Andrew Staniland. 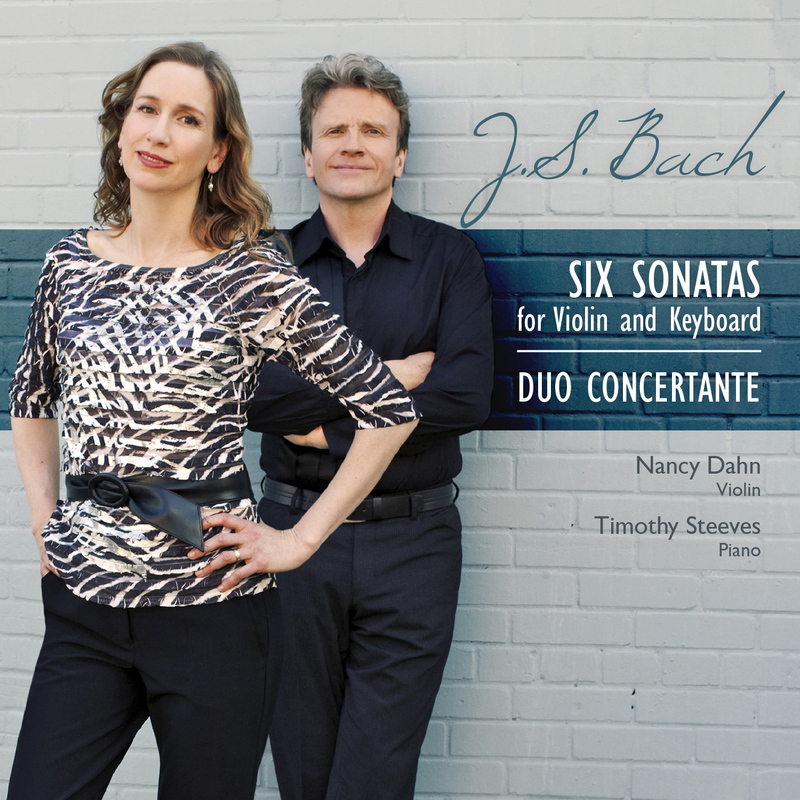 Tim and I are extremely proud of this disc and I’d like to try to put in words some of why that is. As a student I was fascinated by the connections between some of my favourite composers and the first performers of their pieces. Bartok, for example, had special relationships with three wonderful Hungarian violinists – Joseph Szigeti, Zoltan Szekely, Jelly d’Aranyi – and these friendships (and, in the case of d’Aranyi, infatuation) inspired bold, original, and canonical works: the Rhapsodies, Contrasts, the magnificent Violin Concerto and Two Sonatas for Violin and Piano. Likewise, Prokofiev and Shostakovich had their violin muse in the great David Oistrahk who was a first performer and/or inspiration for Prokofiev’s two violin sonatas and Shostakovich’s two violin concertos as well as his only violin sonata. Perhaps the greatest example of a fruitful composer/performer relationship was that of Brahms and Joseph Joachim. Joachim, who inspired and helped revise some of Brahms’ sublime Violin Concerto and was also the impetus for the Brahms double concerto, was also the dedicatee of the Bruch, Dvorak, and Schumann concertos! When I think about a great piece of music, it seems as though it was always there – a basic necessity that acts as a catalyst, deepening my connection to life. Can a violinist imagine the world without the Brahms Concerto, for example? How could it never be there? Of course, there was a time when these great works did not exist. Indeed, without the role that performers played in the creation of these works, we would likely have no Brahms, Bartok, Shostakovich, Dvorak, or Bruch concertos! Each of the new works on Incarnation started out as “Wouldn’t it be great to commission so-and-so?” followed shortly thereafter by planning the premiere performance, applying for funding, brainstorming other performance opportunities , thinking of how to tie it into larger programs or connect it to other repertoire. Eventually, when the anticipated piece arrives (hopefully with enough time to learn it well), the time consuming, technically challenging, experimental, but extremely interesting process of bringing it to life begins. (A whole other blog entry could be written on this process.) The final result – a premier performance where we hope to give a convincing and true performance of our courageous and immensely creative composer’s new work, and that we safely deliver into the world a creation that will live long past our time. While we are under no delusions about our musical skills in relation to the above-mentioned great players, we would like to hope that we share a similar devotion to the music of our time. 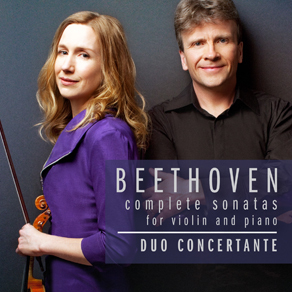 Of the 25 new works Duo Concertante have commissioned and premiered so far, a number are getting performed over and over by other players. And there are others we think will find their place in the sonata repertoire over time. It is wonderful to be a part of this legacy.